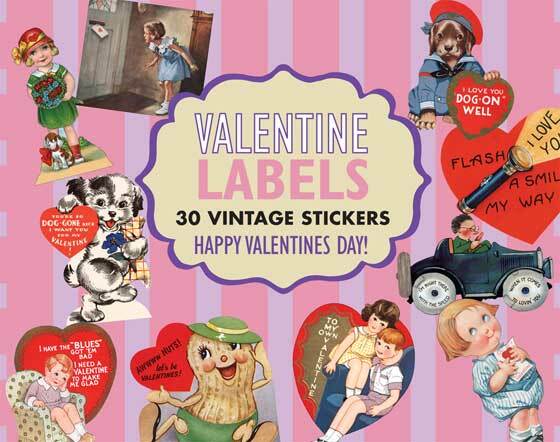 This box of 34 individual peel and stick Valentine's Day labels is suitable for the adornment of a whole variety of romantic correspondence and gifts. This box of 34 individual peel and stick Valentine's Day labels is suitable for the adornment of a whole variety of romantic correspondence and gifts. Drawn from a variety of vintage sources, including vintage school Valentines, the images range form the silly to the sweet and lend themselves to a wide range of potential Valentine's uses.